Kolkata is a city where we enjoy Winter in a rationed manner. Before enjoying the chilliness and the warmth of sweater we started switching on the fan in the city of joy. 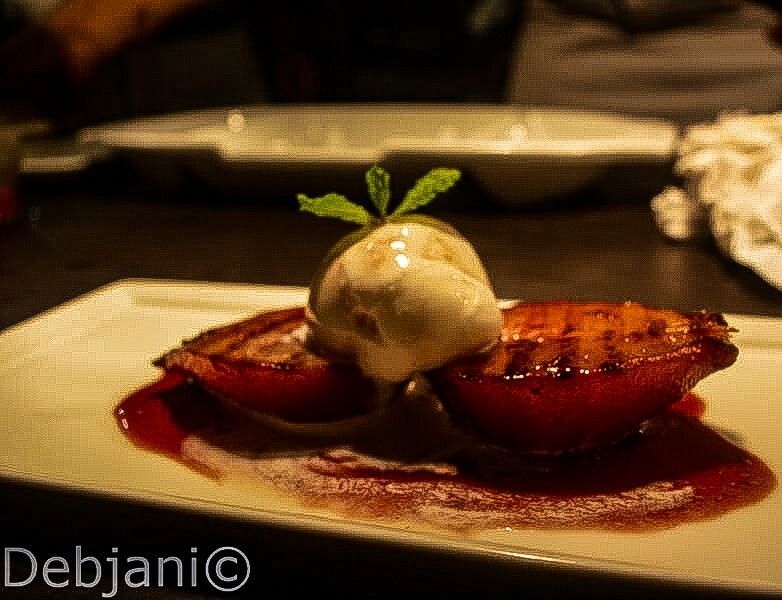 Now that we are about to say bye to Winter; it is high time to write about the amazing food and wine experience I had and perfect to enjoy during the winters. I am talking about the Grill by the Pool by Taj Bengal. Unlike every year, this year as well starting back in the month of November, 18 Taj Bengal is doing the Grill by the Pool. Needless to say, when I was invited to experience the Grill by the Pool, I gladly accepted it. Who would not love to savor hot and fresh soup, grilled delicacies along with a glass or two wine in a fine winter evening while seating at the poolside of Taj Bengal? As I am highly recommending the Grill by the Pool, it is my responsibility to write a few required details! 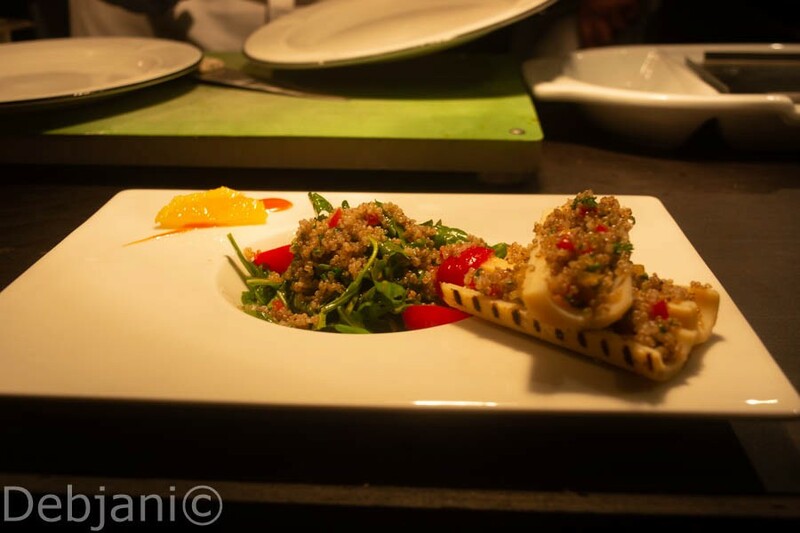 What to expect at the Grill by the Pool by Taj Bengal! Taj Bengal is having an elaborate counter by their Pool all through the winter where there are options for typical delicacies what a person with flesh and blood can enjoy during the winter. 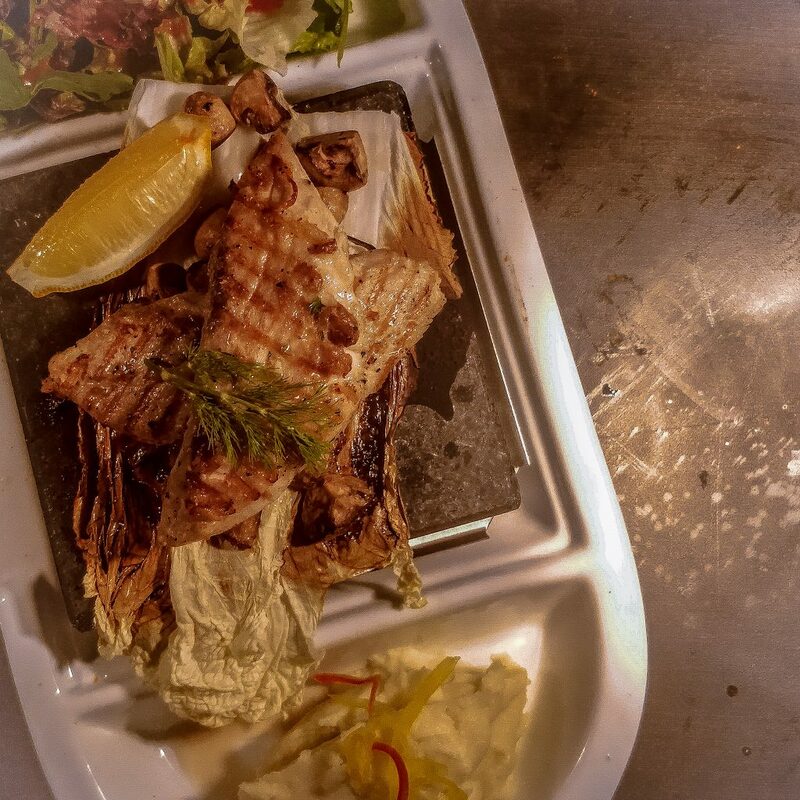 You can choose from the soups, several starters, On the stone delicacies where they are serving steak on the stone, seafood or veggies on the stone. I found various sizzlers, barbequed food and a choice of desserts as well. In addition, the ambiance of the pool is the positive catalyst. Talking about the soups as part of the Grill by the Pool offering; they are using the fresh produce and specifically winter veggies. The soups are refreshing. I have had tried two kinds: one veg and another non-veg. 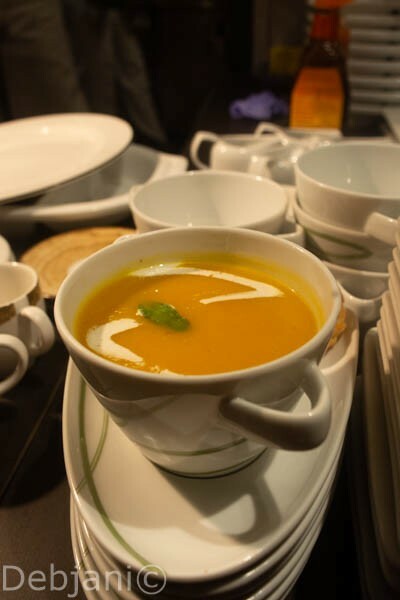 I liked both Moroccan lamb soup with chickpeas and also the Roasted butternut squash sage cream soup. I loved the BBQ Chicken. The soft chicken tossed in a homestyle sauce is just perfect to initiate the evening. The Chefs salad can be ordered if you are searching for something filling yet refreshing to start the evening. I quite liked the Tabasco flavored Salad which was having quinoa as well as fresh figs. They are serving veggies, seafood, and steak on the stone. As I already have mentioned the stones are using to keep the heat on during the winter. We had Fish steak where they have used fresh Bhetki. The fish was served with garden salad, mashed potato, grilled mushrooms etc. This particular dish was brilliant and why not! Calcutta Bhetki cannot go wrong when grilled properly. Tiger prawns on the stone which was served with the sides of Asparagus, Broccoli, corn on the cob and a few more veggies. the prawns were fresh and loaded with the flavors. This dish is a must-have for sure. 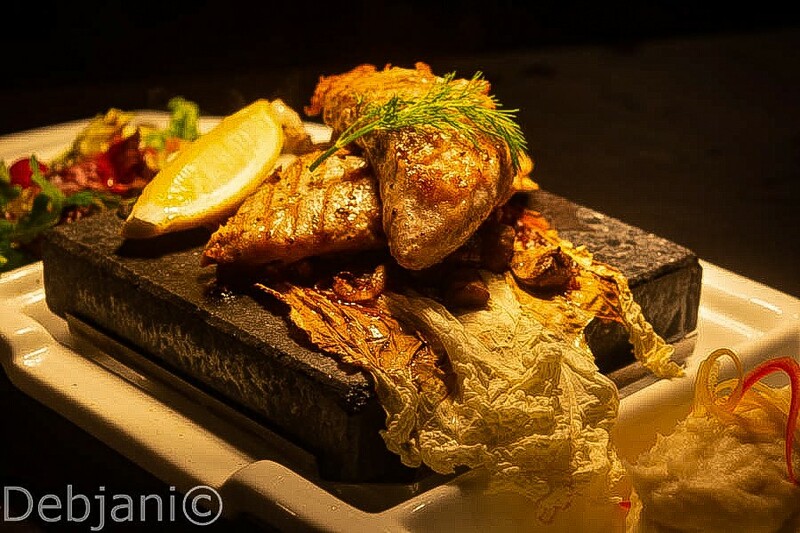 As I have already mentioned, they are using a special kind of stone (Black rock) to serve “on the stone” food. This particular kind is known to retain the heat for long. 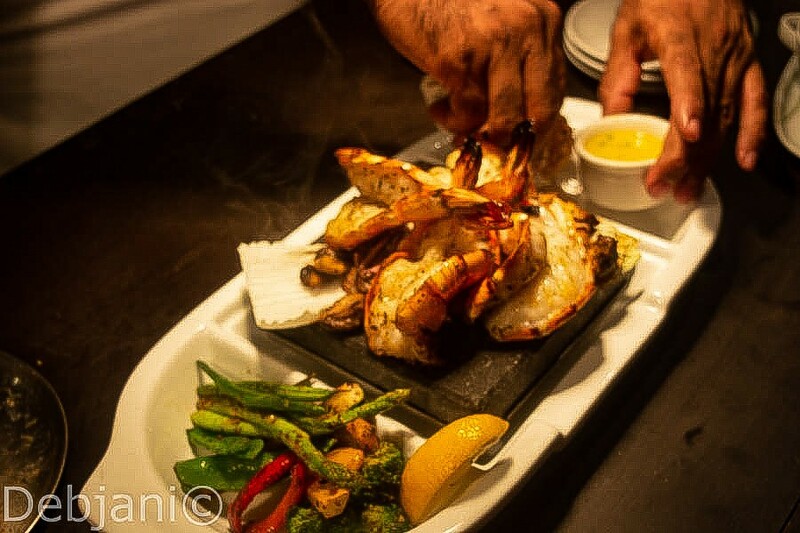 They are serving grilled delicacies including steak, lobster, fish etc over this stone. In the marinade, they are using Bengali Panch Phoron among other things such as BBQ sauce, and chipotle honey. One portion of each is more than enough for two persons. Dessert as part of Grill by the Pool! Our meal ended with Macadamia brownie served with Bailey’s ice cream! Have I just said Bailey’s ice cream? Have I? Okay, it was good. Period. Pocket Pinch at the Grill by the Pool at Taj Bengal! A dinner for two would cost around INR 5000 ++ without Alcohol and the Grill by the Pool at Taj Bengal can be enjoyed till February end. 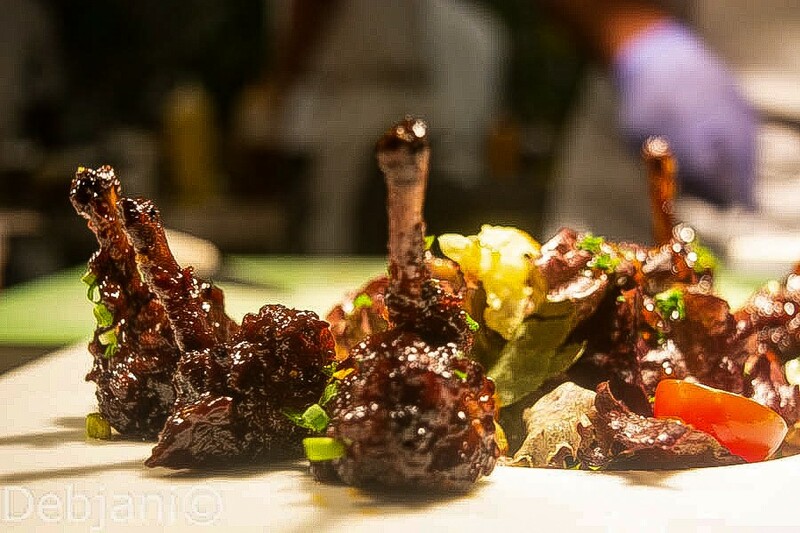 Disclaimer: Debjani was invited by the management of Taj Bengal Kolkata to sample the Grill by the Pool offerings and this post is written unbiasedly based on her experience.